Social Engineering is the method used by hackers to gain the trust of employees through manipulation to exploit information needed to get inside an organization and access its data. An example could be a phishing attack via email or pretexting a fabricated scenario to obtain the information the hacker needs. In a recent study by Ponemon Institute, breaches involving social engineering has cost the healthcare industry $6 billion. “Healthcare needs a drastic cultural change when it comes to safeguarding patient data. Social engineering attacks such as phishing, pretext calls and physical entry represent well over half of healthcare data security breach incidents, yet most healthcare organizations only prepare for and defend against larger brute force attacks,” says Mr. Campbell. Redspin is a leading IT security assessment and consulting firm primarily focused on the healthcare market. Since 2001, the company has offered technical security services to protect critical client data, harden web applications, maintain compliance and reduce overall risk through risk assessments and penetration testing. With its merger with CynergisTek in 2015, Redspin added an IT security consulting practice that specifically tailors security policies and programs for the healthcare industry. 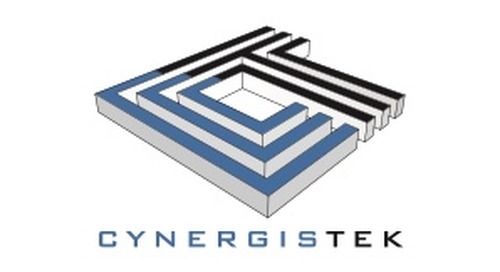 CynergisTek, Inc., is a managed print services and IT security company serving more than 220 hospitals. This complete service offering is unique to the marketplace to ensure enterprise-wide security and improve patient experience through its ability to mitigate risk and improve efficiency across the hospital or health system. This release contains certain forward-looking statements relating to the business of CynergisTek, Inc. that can be identified by the use of forward-looking terminology such as “believes,” ”expects,” “anticipates,” “may” or similar expressions. Such forward-looking statements involve known and unknown risks and uncertainties, including uncertainties relating to product/services development, long and uncertain sales cycles, the ability to obtain or maintain patent or other proprietary intellectual property protection, market acceptance, future capital requirements, competition from other providers, the ability of our vendors to continue supplying the company with equipment, parts, supplies and services at comparable terms and prices and other factors that may cause actual results to be materially different from those described herein as anticipated, believed, estimated or expected. Certain of these risks and uncertainties are or will be described in greater detail in our Form 10-K and Form 10-Q filings with the Securities and Exchange Commission, which are available at http://www.sec.gov. CynergisTek, Inc. is under no obligation (and expressly disclaims any such obligation) to update or alter its forward-looking statements whether as a result of new information, future events or otherwise.